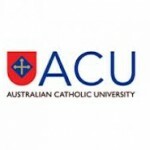 Occasional address at the graduation ceremony of the Australian Catholic University, Sydney, 20 April, 2010, by Rabbi Dr Raymond Apple AO RFD, on the occasion of his receiving the award of Doctor of the University. Thank you for inviting me to give this address and for the wonderful accolade that has been bestowed upon me this morning. There is a Jewish saying that when the Almighty wants to send a person mad He crowns him with honours. I read this as a warning not to get puffed up with the thought of being important. I will try not to succumb to that temptation, but I do want to say that I am conscious of the unique nature of a Catholic university’s generous decision to give a rabbi a title as distinctive as the one I shall now gratefully wear with such great pleasure. I have devoted many decades to the cause of interfaith understanding and I see this honour as a signal acknowledgement of the efforts in this field which my co-workers and I regard as amongst the highlights of our lives. This morning brings together an impressive array of graduates, almost all much younger than me, who are about to make a difference to the society in which they live. To you whose academic achievements will now enrich the community I am delighted to say “Congratulations”, and to express the confident hope that we will all benefit, in ways great and small, from the talents and training that will make you leaders of society. It is that theme of leadership about which I would like to speak to you. A university under religious auspices is well aware that the leadership profession has its roots in the Bible. The philosopher Martin Buber discerns five types of Biblical leadership (“The Writings of Martin Buber”, ed. Will Herberg, 1956, pp. 224-228). The patriarch, says Buber, brings the people into being. The leader leads the wandering. The judge establishes the standards. The king commences the dynasty. The prophet challenges the conventions. This may not be the last word on leadership, but it is an interesting introduction. Whatever area of leadership we look at in today’s ever changing civilisation, we see how leaders settle into one of Buber’s types. We can all put names to the categories, identifying some leaders as patriarchs, some as leaders, some as judges, some as kings, some as prophets. It is a reflection of different types of human personality. It is also horses for courses – the effect of different times, places, situations and tasks. Whether leaders are born or are made, the capacity to give what the moment requires is what marks out a great leader. I remember the obituaries when Pope John XXIII died, especially a British newspaper’s assessment that John possessed “a flaring intuition” of the 20th century. Every leader needs a degree of intuition; the really great leader has flaring intuition. The advice which I have for you is to develop the instinct, the intuition, to know what your task, your people, your time requires. When I first read what Buber says about leadership I began to criticise him, not for what he put into his list but for what he left out. I was certain, for example, that there is a whole category of leadership which I would call the leader as continuator. The continuator is not necessarily a Pied Piper. Charisma is not his or her main strength. But without the continuator the mission may fall apart. For a Biblical analogy we might look at Abraham, Isaac and Jacob. Abraham was a pioneer who ventured forward into uncharted territory. Jacob was a hero who rose above suffering to found a future. The link between them was Isaac, not such a dynamic personality but a solid continuator. Without him the cause, and the tribe, might well have evaporated. Don’t think the continuator does not need intuition, or that his community doesn’t. Both know that there are times to keep the mission ticking over, times to conserve rather than to create. If we are talking about the intuition which the age requires, we cannot avoid focussing on our own age. I can hardly believe that it was decades ago that Alvin Toffler wrote about the rapidation of change (“Future Shock”, 1970). Famous words, and the intervening years have endorsed them. Things were always changing: every moment was a time of transition. But in the last century or so the rate of change has been considerably more rapid. The reasons – and the effects – include the restructuring of society; the advances in science, medicine and education; the new mobility of populations; and the instant availability of information. A re-awakened Rip Van Winkle would be completely out of his depth. It was never harder to be a human being, never more difficult to be a leader. I am surprised that anyone would want to assume the mantle. I have met people who told me they took on public office because they wanted to be famous; many who gained so-called fame later confided that they wished they could sink back into anonymity. Some people told me they wanted power; many who lusted to be powerful later admitted that supposed power had destroyed them. Leadership is a hard taskmaster. Am I then telling potential leaders to hide themselves away? Am I telling the community that they can live without leadership? Not at all. An ancient rabbi used to say, “Were it not for leadership, the people would eat each other alive” (“Ethics of the Fathers” 3:2). Anarchy is no improvement on leadership. The potential leader cannot hold back; as Amos said, “The Lord God has spoken – who can but prophesy?” (Amos 3:8). And the community must learn to support and respect duly appointed leadership, rising above the temptation to tear down the tall poppies. When Abba Hillel Silver speaks of “a people whose memory is long”, he may well have had in mind the need for the community to judge its leaders with the perspective of history, seeing their virtues and humouring their foibles even in the midst of their period of incumbency. A wise people sees the merits in its leaders while they are alive. It might not use Barbara Tuchman’s phraseology, but it recognises its good fortune in the here and now. It is hard to be a good leader, but a good leader is made better by the support of the community. My task is almost at an end, but let me add something about a different dimension of leadership – not merely that which comes from individuals, but the leadership that movements can and should exert in building and securing a good society. In particular, the leadership which the Judeo-Christian ethos can and should be contributing to the national and international community. In a theological context I have been known to suggest that the Judeo-Christian ethos is a myth. On a range of concepts Judaism and Christianity are far apart. In 2007 at the Sydney conference of the International Council of Christians and Jews I spoke on that theme. I still agree with myself, but in a less technical sense I believe the Judeo-Christian encounter is an underappreciated asset. That encounter, in which the Catholic community has played such a constructive role, espouses a human society in which the religions sit together, speak together, work together, live together in respect and tolerance, and jointly contribute their insights towards a safer and better life for all of us. Unfortunately, not all religions are prepared to live in mutual harmony, courtesy and consideration. The Pope is told to give up his Christianity. Christians are called infidels; Jews are depicted as unclean animals. When you are not safe, neither am I. When Jews are told they never had a Temple in Jerusalem, the New Testament narrative is undermined. When the Holocaust is denied, the One God is mocked. All this is worry enough, but the whole harmony of society is also jeopardised. Our religions and their teachings led the way in advocating a world in which “justice shall roll down like waters and righteousness as the mighty stream” (Amos 5:24). Our religions need to work together to give a fresh infusion of high-minded leadership to maintain the progress we have already made towards dwelling together as brothers (Psalm 133:1) and to help it to spread in the United Nations and everywhere on earth. Climate change in that sense is a desperate need. You have honoured me today, and encouraged me to continue a lifetime’s work for human brotherhood. I once again congratulate all those with whom I share the excitement of this moment. As the Biblical Psalmist says, “May God establish the work of our hands” (Psalm 90:17). May our endeavours be blessed. This entry is filed under Articles, Interfaith Issues, Leaders & Leadership.